To thrive means to grow vigorously and flourish. Learn how you can start thriving by using these simple steps. Many of us live our lives every day just simply surviving. This can make it feel like we are running on a hamster wheel, constantly trying to just keep up. Sometimes, we just need an inspirational push that can take us from surviving to thriving. 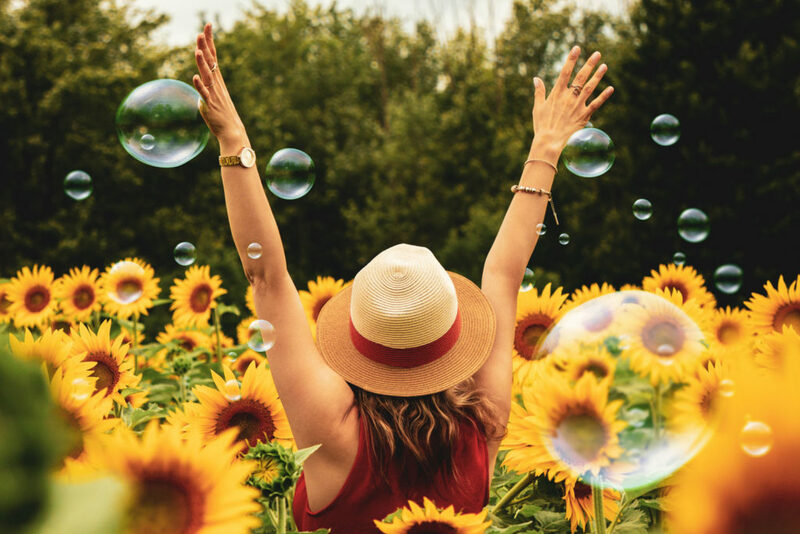 There are some simple steps that can help you go from surviving to thriving and truly start living your life to the fullest. Whether you are listening to a motivational podcast or watching one of your favorite athletes make the winning play, uplifting materials can light the fire inside that can help you take the next step toward success. Starting your morning routine with a quick dose of empowerment can help you get in the thriving mindset each day. One of the greatest things that you can do for your future success is to get a life coach. This will help get you an outside perspective on how you can really go from surviving to thriving. Coaches have years of experience working with people just like you who needed help getting out of a rut, improving performance or preparing for a transition. It is going to be very difficult for you to flourish if you’re not healthy. Mental and physical health are closely tied. Make sure you have the right habits and routines in place in order to be healthy. It takes just three weeks to create a habit. Eating healthy and exercising regularly will help you more than you might think. Not only will you feel great physically, but it will be much easier for you to feel great emotionally as well. Take stock of your health routine, try something new this year and find what works best for you. A big reason why so many people feel like they are stuck in a rut is that they simply ask themselves the wrong questions. When good things happen to other people, you might ask, “Why not me?” When bad things happen to other people, they might ask, “Why not you?” It is crucial for your growth to ask positive questions that will help build you up. What I have realized in my career is that we need to be kinder and less judgmental to ourselves. Even when we feel like we might just be surviving, we need to find ways to design a life where we are thriving. Don’t beat yourself up. Instead, ask what you can be doing to flip the script. Reach out to me today if you want to engage in how you can start thriving. Being kind to ourselves is definitely a first step in self care; too often, as women, we are critical of ourselves and that can lead to being critical of others. Kindness begets kindness; if we’re kind to ourselves we are more likely to be kind to others, particularly those we work with. Just finished watching “The Kindness Diaries” on Netflix. The series documents the travels of a former stock broker who travels the world relying on the kindness of strangers. It focuses on thriving no matter what your circumstance! So inspirational! Be kind y’all!